I hope you are all having a wonderful week and ready for the upcoming weekend. I will probably be very silent during the weekend since I spent today shopping instead of preparing posts. I am thinking to take a break this weekend and come back next week with lots of beautiful Fall items. I am also planning to do a Fall Products wrap up soon to sum up what worked and what was meh for me. Stay tuned for that. Today though is about more flowers and a new perfume. 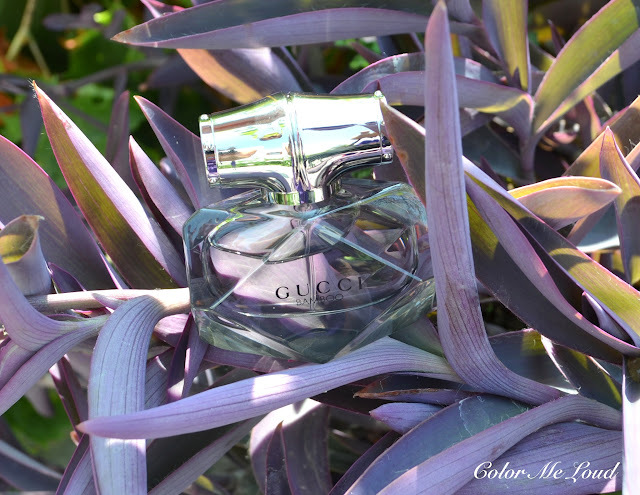 Gucci recently released a new fragrance matching to their iconic Bamboo line. The line consist of bags with handles made of bamboo. Also I remember that they released watches which had bamboo theme as well. I was keeping an eye on fragrance release and read on different forums that the people were disappointed because it didn't smell like bamboo. If this was your expectation, get ready to readjust that. My thoughts on Gucci Bamboo Eau de Parfum is right after the jump. 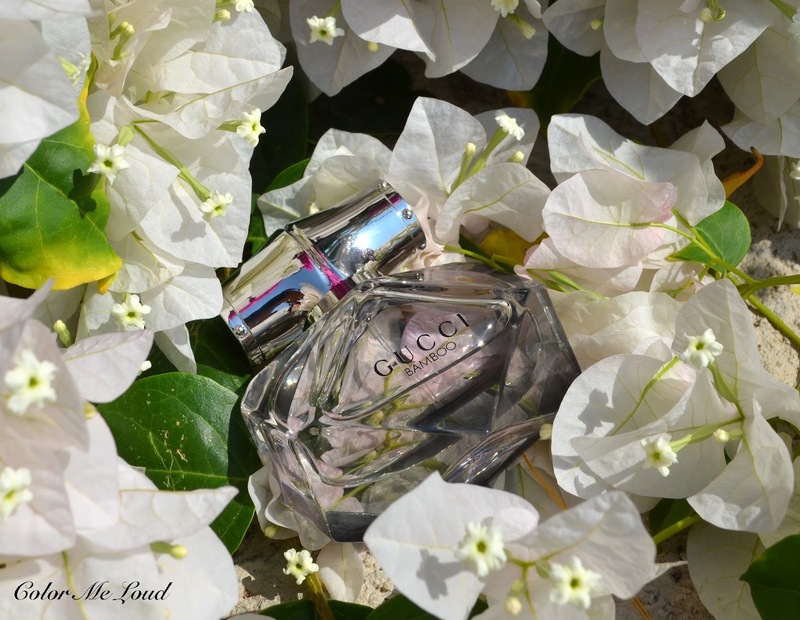 Gucci Bamboo Eau de Parfum comes in a chic transparent flacon which is cut like a precious stone. The lid looks like an abstraction of a bamboo with studded ends. The liquid is lightly pink which brings a touch of femininity. The notes given suggest a citrusy opening, a floral heart and woody base. The opening is citrusy and a little sweet. Bergamot brings a touch of sophistication during the first whiff. Once I spray it, my mom came to ask what it was, another time I spray it my husband complimented on it. The opening is really a pleasant and catchy one. It makes you wonder what is to come up next. From this point on it starts becoming less green, more floral. Orange blossom keeps its light hearted sweet character as lily reveals the white flower facet. Ylang-ylang is not very prominent and doesn't make it heavy. Soon enough before the woods wrap it all, it becomes a demi-sweet vanilla scent with white flowers. It stays pleasant throughout. I find Gucci Bamboo Eau de Parfum to be a great daily companion, an office friendly crowd pleaser. It doesn't become too much of anything, not too sweet, not too floral, not too vanilla based nor too woody. This is exactly why I can see that some people loving it while some opt for more distinctive scents. From the opening to the dry down Gucci Bamboo Eau de Parfum smells posh, luxurious in a low key way. A property some of us will definitely enjoy. Gucci Bamboo Eau de Parfum is released last month. 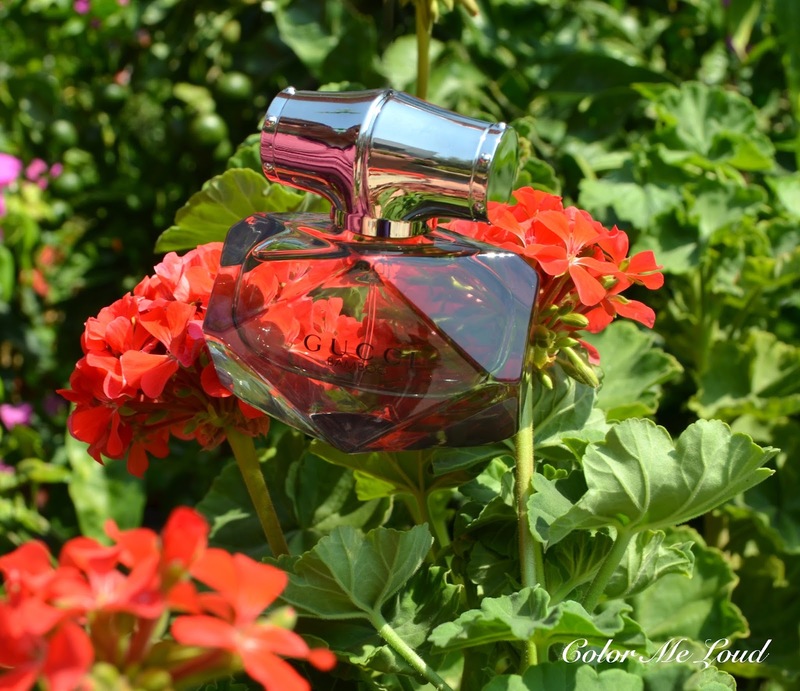 It is available in 30 ml (pictured here), 60 ml and 90 ml. The price for 30 ml is around 65€ although some online shops such as Flaconi (not affiliated) have it for as low as 54€. Flaconi also ships it to many European countries, so in case you are eyeing Gucci Bamboo and located in Europe, you may want to check it out and compare prices. Final thoughts: Gucci Bamboo Eau de Parfum is for those of you who like it feminine, chic and posh while keeping it low key and balanced. It is not a head turner on the street but it may bring you compliments from the ones who are closer to you. Gucci Bamboo is fresh at start. It redresses to be white floral, a little sweet and vanilla based all at once while reaching a woody but not musky dry down. I love it for what it is and it grows on me each day. 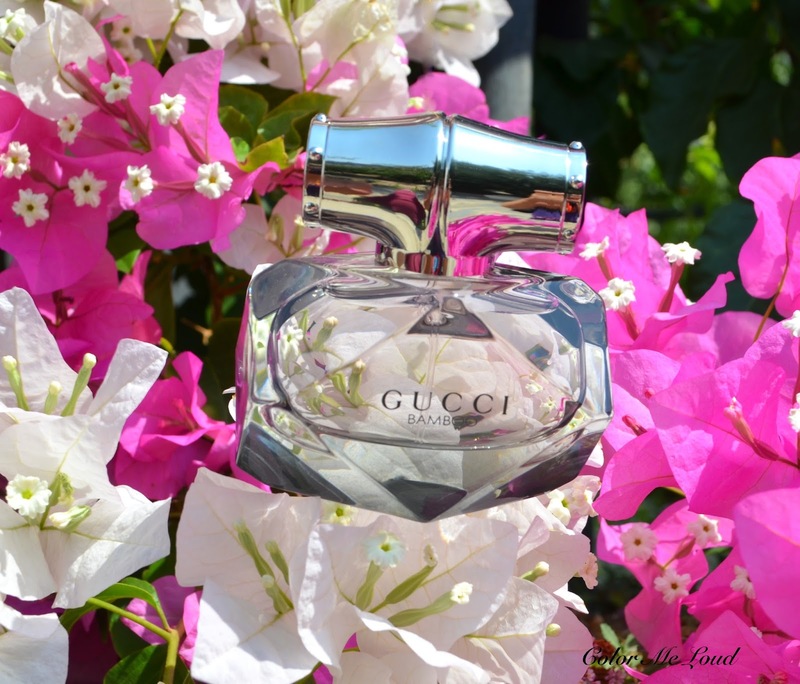 Do you like Gucci fragrances? Which one is your favorite? Disclaimer: The product in this post were sent free of charge for my consideration. I'm not too adventurous with scents, and this sounds like something I'd really like. Plus the bottle is so pretty. I'll have to try to hunt this down. I know what you mean, ylang ylang is also not my favorite note but in this one it doesn't bother me. Linda once told me that there are very different ylang ylang types, some are heavier and ore distinctive than the others. Probably this one is one of the weakest I have yet smelled.